Each one of them is unique. Can you find two identical ones? You’re right – there aren’t. You can’t find to identical fish or pillows or people anywhere in the world. 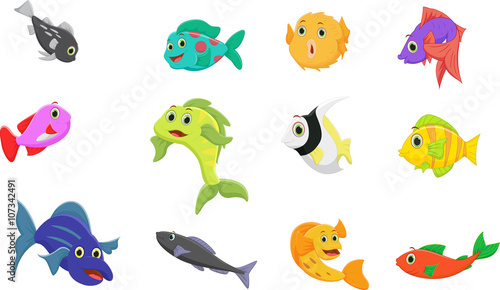 The photo wallpaper depicting colourful fish will be a perfect complement of every child’s colourful room. Let rainbow fish accompany your child at play.